Showdown town - one of the best live bingo games online! Yeeeeeehawwww! Indulge yourself in an exciting bingo online experience in the Wild Wild West! Enjoy crazy bingo power-ups, multiplayer bingo games and amazing new bingo bonus features that will take your free bingo game to an epic bingo win! Don’t miss out! Play now to enjoy the social bingo craze! No need for those bingo markers or bingo dauber, mobile bingo is the way to go. Playing free bingo games online has never been so fun! Bingo Showdown is the place for you, cowboys and cowgirls, to play classic Bingo games online or multiplayer Bingo tournaments and win big. The most exciting free bingo game is just a click away! 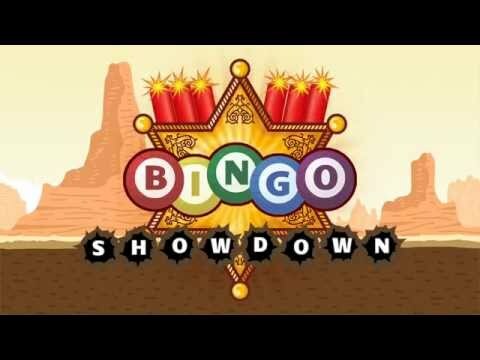 Not all bingo games deliver but Showdown is the free bingo app that’s sure to give you a full-blown bingo rush! You can be that lucky bingo player! Just install and then you’ll be speaking our bingo lingo. compete with other bingo players from all over the world in free bingo games. Bingo Showdown has the most fun games to play with friends or strangers. Bingo Showdown is one of the top free bingo games to download – join the online new bingo craze now! speed bingo games and prove that you are the fastest drawer in town when the bingo calls roll out. Mobile Bingo has never been so fun! Play Bingo on Facebook or on your smartphone – play bingo online anytime, anywhere! Get an intense bingo rush from the exciting voice of the bingo caller calling your lucky numbers on your way to a BIG WIN. The Book of Outlaws - WANTED! There’s a new sheriff in town! Shoot your way through the Showdown bingo cards and catch outlaws on the run while you play one of the best bingo games online. For every Bingo game won, collect a puzzle piece to find an outlaw on the run! 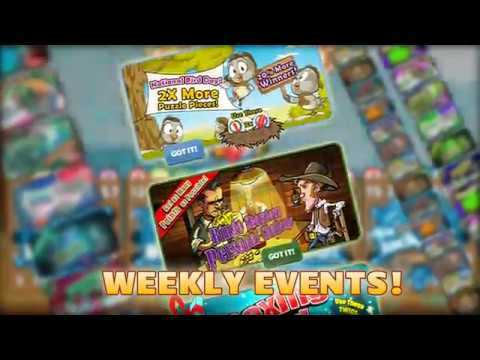 Capture outlaws to win rewards, free gifts, bingo chips, Bingo bonus offers, and more! Experience the ultimate Bingo environment of a western bingo world while you’re chasing the outlaws. Enjoy high speed bingo thrills while chasing the bad guys on your way to the ultimate glory. Play social Bingo game with your Facebook gang or other Bingo players from around the world. Use your bingo daubers as guns to shoot your lucky numbers. Show them how it’s done in live bingo action and ride to the top of the leaderboard to win that precious bingo jackpot. Invite a new friend to enjoy the delightful experience of the Showdown and get a full sack of bonuses! Take some time off our showdown bingo rooms for a Wild West bingo holiday with your cowboy pals or just random horseback riders online and have the time of your life! The most exciting free bingo game is just a click away! ✔ Daily bonus spins – SPIN AND WIN! The Bingo hall of fame has a blank spot for you, don’t miss it. - Log in with Facebook and sync your account with your PC and all your devices. • The games are intended for an adult audience.